Build your dream home on this beautiful 10 acre parcel with Sierra Views in Rescue! Surrounded by custom built homes in a quiet neighborhood yet close to services! 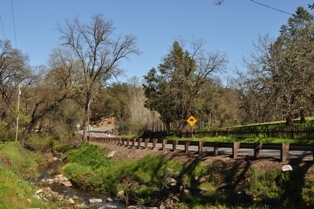 Residents of Rescue have easy access to Folsom Lake and to the South Fork of the American River, not to mention the countless hiking biking and horseback riding trails that wind through El Dorado County. Rescue Union School district is known for having an exemplary record for both test scores and a great learning environment. Ponderosa High School, which is located nearby in Shingle Springs, and also has a wonderful reputation, serves most of the high school students in Rescue. The Rescue real estate market consists primarily of homes built on acreage and large subdivision lots. Many of the homes in Rescue are beautiful custom ranches. Rescue residents are just a short drive from shopping in El Dorado Hills, Shingle Springs and Folsom, where they can everything from grocery stores to auto malls.